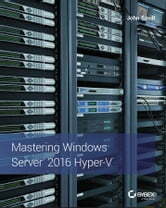 Microsoft Windows Server 2016 Hyper-V is the IT administrator's guide to this rising datacenter solution. Hyper-V has already surpassed VMWare in datacenter management, identity service for multiple devices, and more; this book shows you how to harness the power of this hypervisor to simplify the infrastructure, reduce costs, improve productivity, and better manage system resources. From a tour of the technology through architecture, deployment, and integration of System Center, Microsoft Azure, and Microsoft Azure Stack, the discussion illustrates the skills you need to create a complete solution for optimum enterprise management. Coverage includes Windows Azure capabilities for virtual machines, managing a hybrid cloud, IaaS, storage capabilities, PowerShell, and more, with practical real-world guidance from a leading authority in the field. Hyper-V has recently undergone improvements in scalability and features that have positioned it as an ideal solution in the Small/Medium Business and Enterprise markets. This book shows you how to exploit these new capabilities to build a robust data solution for your organization. Data is everywhere—on desktops, laptops, phones, and multiple operating systems, accessed through email, text messages, web searches, online services, and more. All of this data must be stored, accessible, updated, backed up, secured, managed, sorted, and analyzed—sometimes instantly. 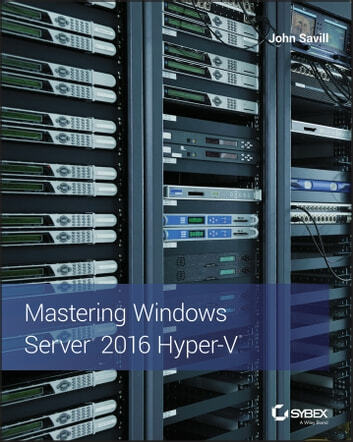 Hyper-V is the rising star in the virtualization space, and Microsoft Windows Server 2016 Hyper-V shows you how to turn greater capabilities into better datacenter solutions.